West on Main, turn right on 17th and right on Santa Fe. Atchison is located in Kansas. Atchison, Kansas 66002 has a population of 10,712. The median household income in Atchison, Kansas 66002 is $41,283. The median household income for the surrounding county is $44,648 compared to the national median of $53,482. The median age of people living in Atchison 66002 is 29.5 years. 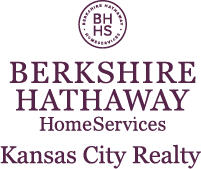 I am interested in 1610 Santa Fe Street, Atchison, KS 66002.